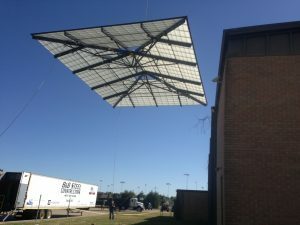 Natural Light Source, LLC, grew out of the success of B&B Steel Constructors, Inc.
Natural Light Source, LLC is a skylight company Oklahoma, located in Newcastle, Oklahoma. B&B Steel Constructors, Inc. began as a family business back in 1980, serving the construction industry in the state of Oklahoma. Core business included being a distributor of Varco Pruden pre-engineered metal buildings, in-house steel erection, and Architectural metal wall and roof systems. The bottom line has always been a commitment to doing things the right way. That same commitment carried over in the installation of translucent panel skylights and wall panels over a thirty-year period. In January of 2016, B&B Constructors had the opportunity to acquire the Oklahoma distributorship for Major Industry’s skylights and wall systems, which led to the creation of Natural Light Source, LLC. Natural Light Source, LLC, combines a thirty-year history of in-house installation with the superior engineering technology of Major Industry’s products. The quality and the durability of the products give us the opportunity to provide industry leading warranties, in-house control of product installation, and superior service. Daylighting has become an integral part of 21st century design, and Major Industries is providing us with the highest quality, most reliable, and most advanced daylighting systems available. Our goal is to combine that technology with unsurpassed service and installation to fit your needs.